1. Making your booking: You may make a provisional booking at no immediate cost by calling 0033476113543. You then have 7 days to confirm your booking by returning your booking form and 20% deposit. If we do not receive your booking form and deposit by this time the provisional booking will be void. The person making the booking (the party leader) must sign the booking form and must be authorised to make the booking on the basis of these terms and conditions by all the persons named as travelling with him on the booking form. By signing the booking form the party leader warrants that he has that authority and confirms their agreement to be bound by these terms and conditions. The party leader must be over the age of 18 at the time of booking. Any persons under the age of 18 must have written consent from their parents/guardians. Once we have received your booking form and deposit we will, subject to availability and if we accept your booking, send a confirmation letter accompanied by an invoice for the full price of your holiday and showing the balance payable (if holiday is not booked within 8 weeks of departure see clause 2 below). This confirmation letter and invoice will be sent to the party leader who must inform other members of the party. The party leader is responsible for the full cost of the holiday and any further charges and for making all further payments to Ski Easy. Upon receipt of the invoice you must check to make sure all details are correct and contact us immediately if this is not the case. 2. 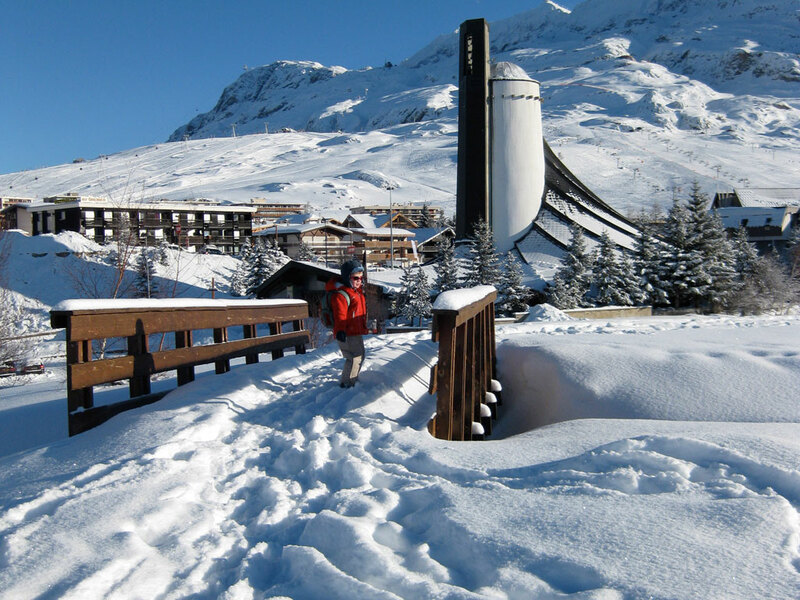 Payment: To confirm your accommodation booking with Ski Easy, you must pay a deposit of 20% per (non-refundable) or the full price of the holiday if booked within 8 weeks of the departure date at the time of booking. The balance of the price must be received by us 8 weeks prior to the departure date. This date will be shown on your booking invoice and confirmation letter. If all payments are not received in full and on time we are entitled to assume you wish to cancel your booking. Payments may be made to us by cheque made payable to Ski Easy Ltd. or by bank transfer. Our bank details will be given on request and not on the booking form. Bear in mind that we require five working days to clear a cheque. It is possible to pay in euros instead of £’s sterling however the exchange rate at the time of payment will apply. Should there be a fluctuation in the exchange rate between the payment of the deposit and the final balance then the final balance will be charged at the current exchange rate. This is another service offered by Ski Easy and it is vital that the company do not lose money on exchange. 3. Contract: These terms and conditions contain some exclusions and limitations of liability. If any part of them proves to be invalid or unenforceable the rest of them will remain in force. A binding contract between us exists when we send our confirmation letter and invoice to the party leader. This contract and all matters arising from it are governed by English law. You agree that any dispute which arises from this contract or your holiday will be dealt with by the courts of England and Wales. 4. Cost of your holiday: Prices shown on our website are subject to change and we reserve the right to make changes or correct any error to advertised prices at any time before a holiday booking is confirmed. We will not however increase the price in respect of such circumstances which would produce an increase of two (2) per cent or less or increase the price within the period of 30 days prior to your departure. There is a local tourist tax of 0,83€ per person above age 13. This will be billed and collected in resort. 5. Changes made by you: If you want to make any changes to your confirmed holiday, you must notify us in writing as soon as possible. We will do what we reasonably can to make such changes but do not undertake that we will be able to accommodate all changes. Where we can make changes, a minimum charge of £25 will be payable in respect of each change request together with any other costs incurred by us or charged by any of our suppliers. Where you make several changes at the same time we will only make a reasonable over all charge. 6. If you cancel: Should you or any member of your party need to cancel your chosen holiday after it is confirmed, we must immediately be informed in writing by the party leader. Cancellation will take effect on the date we receive this written notice. If you cancel after we confirm your booking you must compensate us for losses, as we incur costs from the moment you make the booking. The closer your cancellation is to the departure date, the less likely we are to re-sell the accommodation at the published price. Our cancellation charges therefore increase as the departure date approaches. The charges by reference to days before departure are listed in the table below. 7. Depending on the reason for you cancelling, you may be able to claim back the costs of cancellation from your travel insurance. This is no responsibility of ours and claims must be made directly to your insurance company. 8. Insurance: You cannot stay in our accommodation without adequate travel insurance. We make it a term of our contract that you and all members of your party are appropriately insured. You should have winter sports insurance cover as the costs of rescue and medical expenses overseas can be very high. We cannot pay these costs for you. 9. Cancellation and changes by us: If for any reason the property booked incurs a problem which will be detrimental to your stay then Ski Easy will offer you alternative accommodation or a full refund. 10. Behaviour: When you book your holiday with us, you accept full liability for any damage or loss caused by you or your party. Any costs associated with this are payable by you as soon as practicably possible after the loss or damage is caused. In the event that you do not comply with this, you will then also be liable for any costs incurred by us including, but not limited to, the legal fees of all parties involved. We expect all our clients to show consideration for other guests and staff whilst on their holiday. If in our reasonable opinion you or a member of your party is acting in a way that could be reasonably seen to cause danger, upset or distress to any third party (including without limitation us, our staff or our other guests) or damage to property we reserve the right to terminate that person’s holiday with immediate effect. In this situation, the person or persons concerned will be required to leave the accommodation immediately without prejudice to any claim for loss or damage we may have arising from the behaviour or property damage concerned. We will have no responsibility for any further needs of this person(s). No refunds will be made and no costs associated with the termination will be paid by Ski Easy. 11. Complaints and problems: In the unlikely event that you wish to complain or have a problem with your accommodation whilst away, you must immediately inform a manager of the service you have the problem with and why. Any verbal notification must be confirmed in writing and submitted to that manager. Until we are aware of a problem we cannot begin to resolve it. Most problems can be solved quickly, but should you continue to be dissatisfied with something, notify us in writing within 28 days of your return to the UK. Only the party leader should contact us with any complaints or problems. If you fail to follow this procedure, you may lose your right to claim and to any compensation to which you may be entitled. 12. Force majeure: Except where otherwise expressly stated in these terms and conditions, we cannot accept liability or pay any compensation where the performance or prompt performance of our contractual obligations is prevented of affected by, or you otherwise suffer any damage or loss as a result of ‘force majeure’ . ‘Force Majeure ‘means any event which we or the supplier of the service(s) in question could not, even with all due care, foresee or avoid. Such events may include war or threat of war, riot, civil strife, terrorist activity or actual threatened terrorist activity, industrial dispute, natural or nuclear disaster, adverse weather conditions, fire and all similar events outside our control. Please note, in relation to any booking we take and/or make on your behalf for lift passes and/or ski school and/or ski, boot or other equipment hire, we act only as agent for the supplier of the services concerned. We accept no liability in relation to any contract you enter into for these services or for the acts or omissions of any supplier(s) or other person(s) or party(ies) connected with them. For all such arrangements, your contract will be with the supplier of those arrangements. Safety standards: Please note, it is the requirements and standards of the country in which any services which make up your holiday are provided which apply to those services, and not those of the UK. As a general rule, these requirements and standards will not be the same as the UK and may be lower. 13. Prices and brochure/website accuracy: Please note, the information and prices shown in this website may have changed by the time you come to book your holiday. Whilst every effort is made to ensure the accuracy of the brochure and prices at the time of printing, regrettably errors do occasionally occur. You must therefore ensure you check all details of your chosen accommodation (including the price) with us at the time of booking.